Looking for some lunch box inspiration? It’s so easy to get stuck in a lunch box rut, so we asked our Mykidstime parents for their winning lunchbox suggestions – here are 100 Healthy Lunch Box Ideas your kids will love. 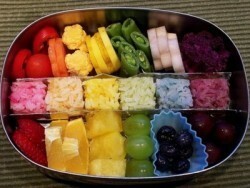 Before putting anything into a lunch box do try it out at home first, and be sure they like it, and will eat it. Make sure to pack a bottle of water and check that your child has drunk it each day. 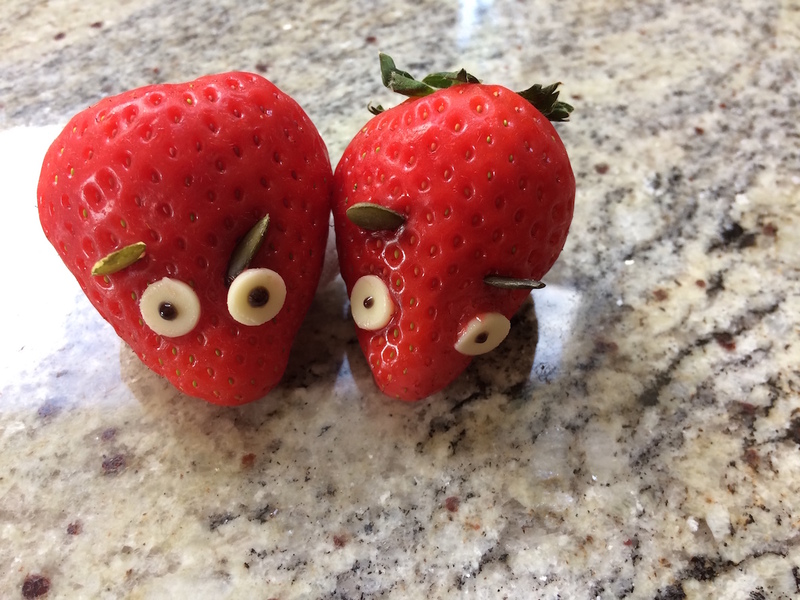 Add a bit of humor to lunchboxes with jokes, notes or fun shaped food! Download our free monthly Lunch Box Ideas Planner – you can then see at a glance if you have all key food groups included, and how much variety you have included. It will also help you plan your weekly shopping. 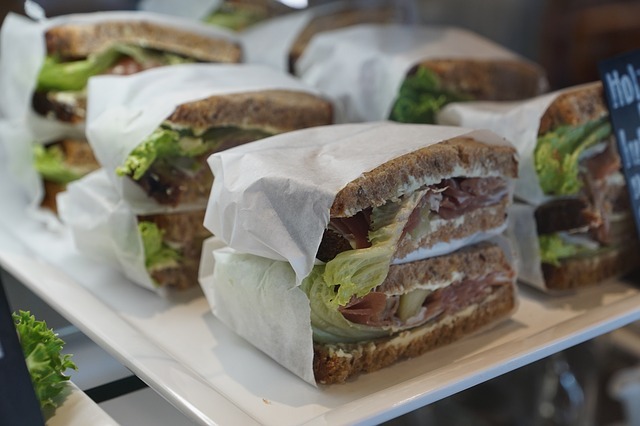 Sandwiches are still a firm favourite with kids and most of you try to add two fillings – one protein or dairy, and one vegetable – ensuring your kids are getting a good variety of all the food groups in one easy to eat place. Bread is the staple but below are a variety of other alternatives for sandwiches which are all great lunch box ideas. 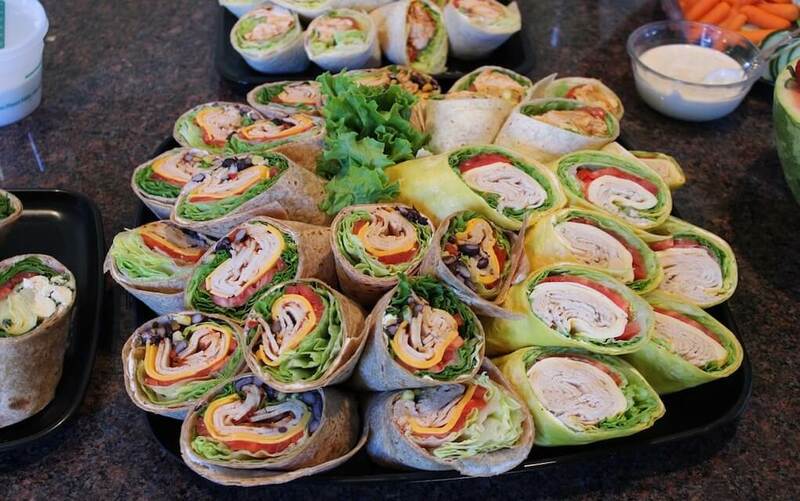 Wraps have become very popular in the last number of years and with no crusts, have proven popular with kids. They are also easy to eat – just be sure to not overfill them. Once filled, roll them tightly and cut them into wheels to make them more interesting to eat! My youngest daughter would take crackers and cheese to school every day if I let her. I try to sneak in some cucumber and tomato to get a bit of veg added too. 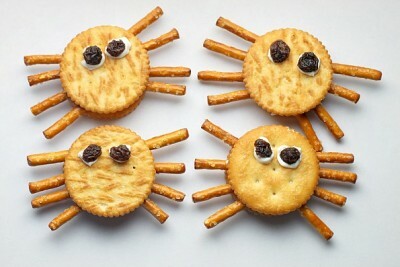 Why not try making your own crackers with this recipe from thekitchn.com – they are surprisingly easy. 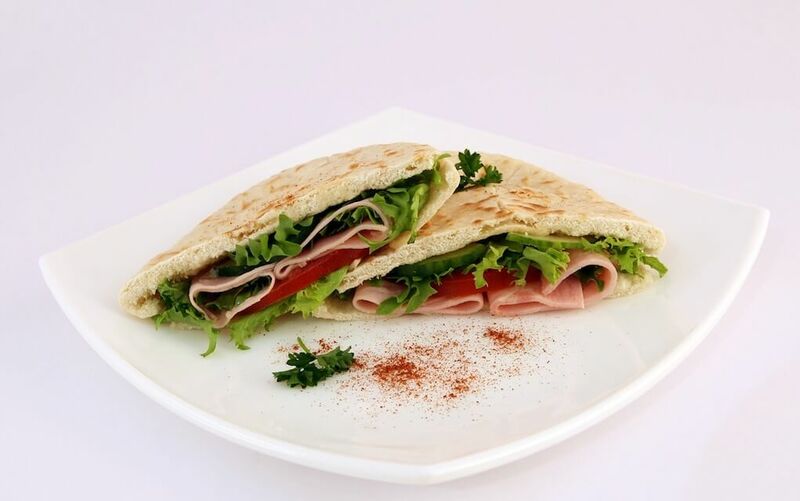 Pitta makes a great alternative to bread – just split the pitta bread at the top and you have an ideal parcel for all your fillings. One Mum told us she adds left over chicken curry to hers and the kids love them! Sliced bread is still a front runner when it comes to kids lunch boxes. I have bought some cookie cutters and cut my girls sandwiches into interesting shapes a couple of times a week. If you enjoy baking, you could try out some of our bread recipes including focaccia bread or a sweeter alternative, apple cranberry & walnut bread. 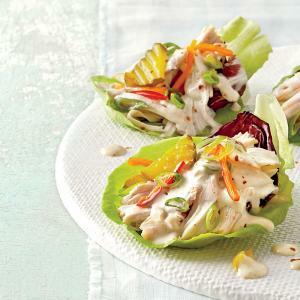 As a healthy alternative to bread products, lettuce is a fun wrap for fillings. Iceberg lettuce works best and is thick enough to hold wetter fillings too. I also found this great website, Make The Best of Everything, which makes cucumber subs by removing the center and adding your filling to the hollow. Genius! Kids love bagels with a hole in the middle which make them easy to hold and a bit of fun. 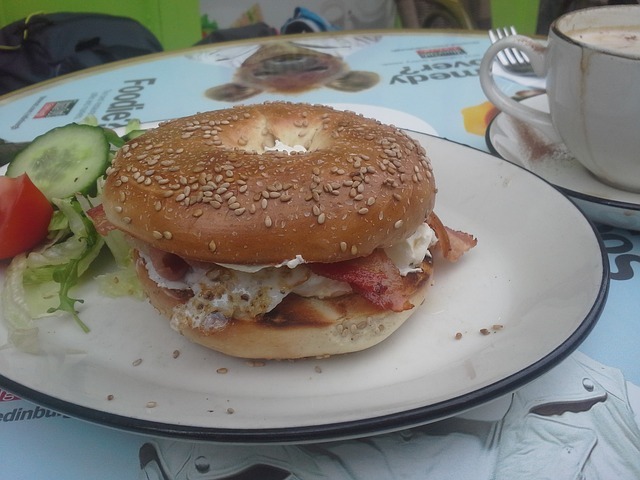 A bagel with cream cheese is delicious any time! Add smoked salmon, cherry tomatoes or a variety of other savoury or sweet toppings. Breadless sandwiches have become more popular. Add a cheese spread or some vegetables to a slice of meat or fish and roll it up for an easy to handle alternative or deconstructed sandwich. Bread rolls are quick and easy to prepare. 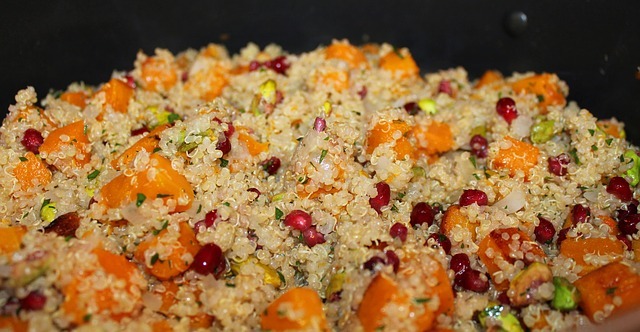 Add delicious fillings to ensure they are all gobbled up. Why not make your own instead of buying rolls – try out our Homemade Soft White Bread Rolls Recipe or these healthy Wholegrain Bread Rolls with oats and seeds, which my kids love. 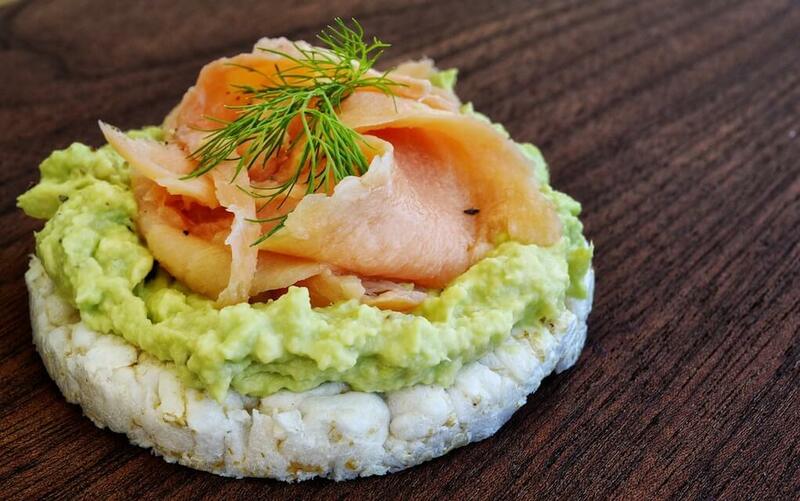 Sushi is a great healthy alternative to bread sandwiches and a fun alternatives for kids. 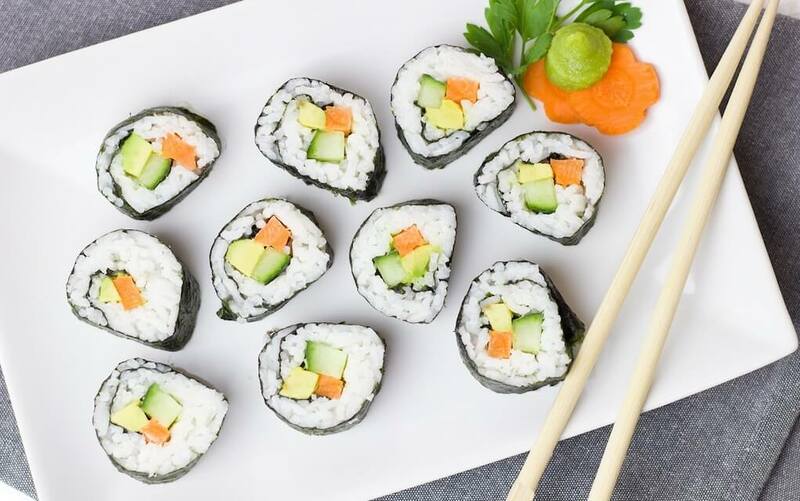 Both the finished product and ingredients are available in shops and supermarkets so you can buy sushi ready made or you could attempt to make your own – we liked this recipe for kids from snapguide.com! Or you could try these fun sandwich rollups – an alternative sushi, that uses bread instead of nori seaweed. With rice cakes growth in popularity, new flavours are being launched all the time. Adding a spread or simply eating them as they are, means they make a great lunch box staple. 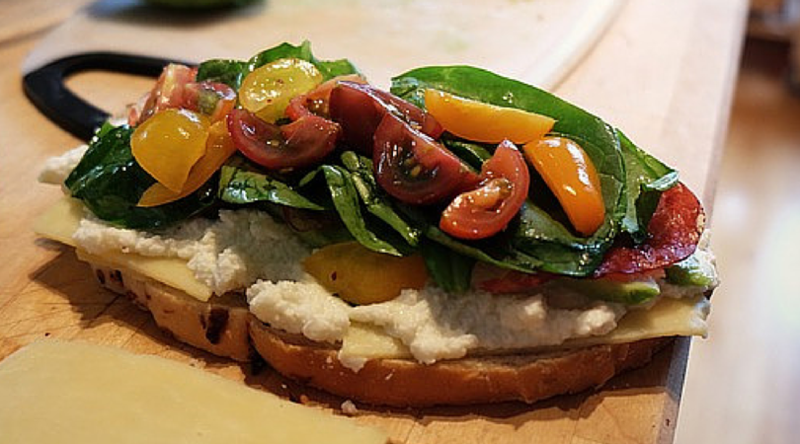 Be creative when it comes to adding different ingredients to your sandwiches. 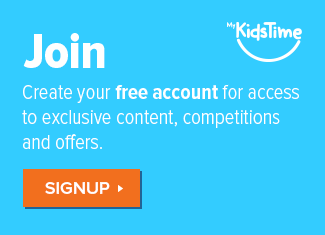 Not all of them will be a hit, but you may be surprised at what your kids enjoy! Using leftover meat from a roast dinner is best but if you do buy sliced meats, try to ensure they are quality approved and check the water and salt content! If you have a more adventurous child, chorizo and salami can add a bit of spice to the lunch box. You tell us that your kids love tuna and sweetcorn wraps and sandwiches. And tuna is so good for them too. Tinned salmon, smoked salmon or peppered mackerel also add to your daily good omega oil intake. Most kids seem to like cheese, and it is the perfect protein staple for kids lunch boxes. There is now such a variety of cheese to choose from, that you could have a new one in your lunch box every day of the year! Harder cheeses like Edam and Cheddar are great for cutting into interesting shapes or can be melted onto bread for a one slice sandwich. 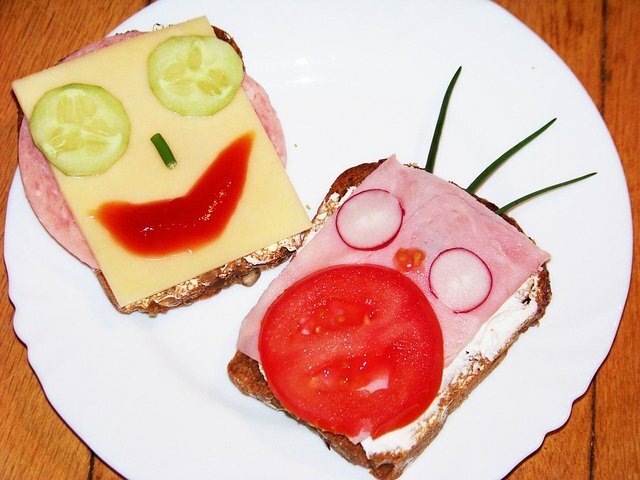 Adding vegetables to your child’s sandwich helps get them closer to the all important 5-a-day quota. 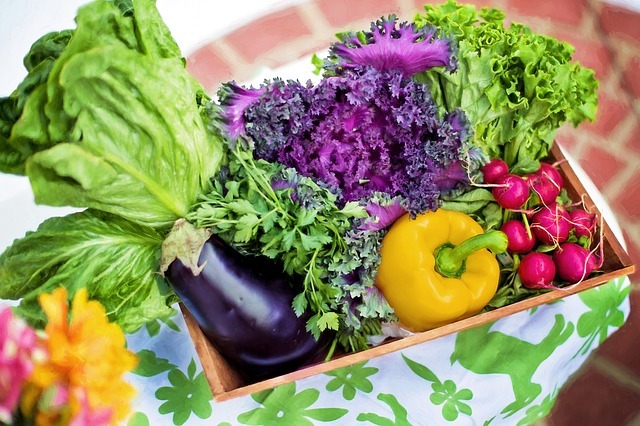 Vegetables that work well are: sweetcorn, lettuce, cucumber, tomato (technically a fruit), peppers, bean sprouts, pickles, spring onions, peas, beans, kale, olives, radishes. Also any vegetables that have been roasted first and allowed to cool, like aubergine/eggplant, mushrooms, onions, squashes, artichokes, peppers, courgettes and asparagus will also work. You may not immediately think of adding fruit to your sandwich but who can resist a humble banana sandwich? 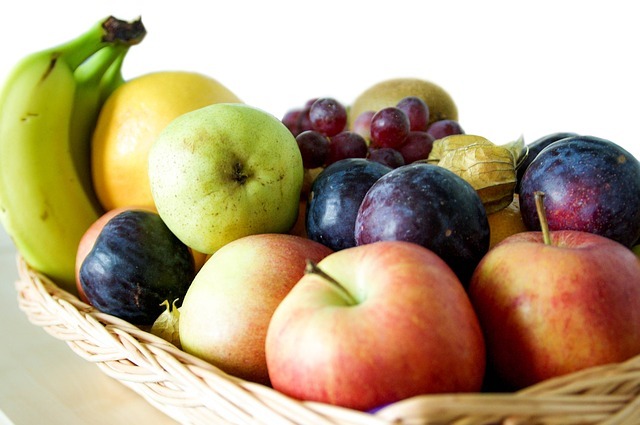 Other fruits that work well, especially with different cheeses and meats are mango, avocado, nectarine or peach, blueberries, figs, grapes and pears. Chili sauce, chutney, hummus, guacamole on their own or with meats, cheeses or other vegetables (more on those later). If your schools allows nuts, peanut butter. 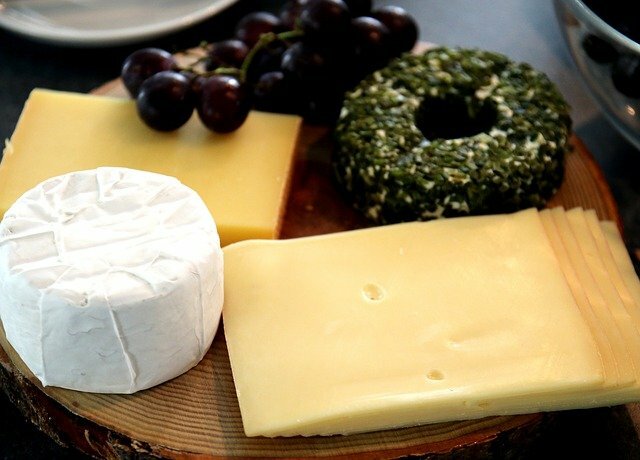 Cheese spreads can be a good way of getting dairy into your child if they are not particularly keen on hard cheese. To add a bit of sweetness to a sandwich you could add a jam/jelly or sauce. Peanut butter with jam/jelly is the obvious combination, but chocolate spread with banana is a great combo too. Or how about apple sauce with pork slices, mint sauce with lamb slices, mango chutney with chicken, sweet chilli sauce with vegetables? Homemade paté using mackerel, tuna or salmon is quick and simple to create and makes an all-in-one sandwich filling. 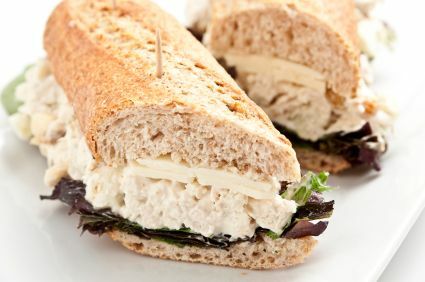 Just add a tin of your fish of choice, to either cream cheese or mayonnaise, and you have a readymade healthy filling. 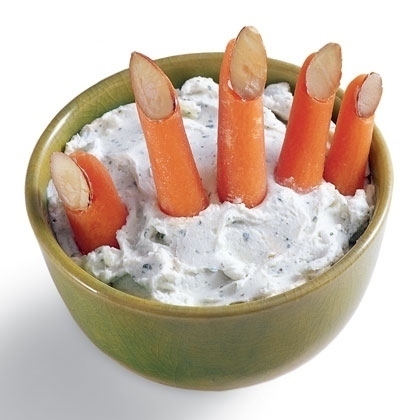 This can also be used as a dip for vegetable or breadsticks. 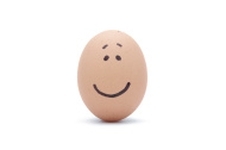 Okay so giving your child egg and onion sandwiches may not make them popular, but eggs really do help fill up little tummies, and make a great nutritious sandwich filler. Boil them first and cut them directly onto the sandwich or mix them with a sauce and mash well to make a wetter filling that will stick to your choice of bread. We have a section on good leftover recipe ideas later on but creating a sloppy joe from beef or venison stews made in a slow cooker or using up leftover curry or chilli as a sandwich filling helps cut down on food waste and means your child is getting a well balanced lunch. 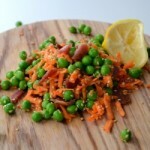 This Summer Pea Salad can be made with fresh or frozen peas. It has just a few simple ingredients that should appeal to most children’s taste buds. And the dressing is just a squeeze of lemon juice. Try adding cold meat or tuna to make it more substantial. This Fattoush Salad combines eggs with lettuce, tomatoes, cucumber, apple and carrot to make a tasty lunchbox treat. The salad can be made in advance for convenience, and if your kids like seeds, add some toasted seeds to the salad for extra crunch! As the name suggest this Portable Potato Salad has been designed with lunchboxes in mind. It contains potatoes, ham (leftovers from dinner if you have), peas and tomatoes. The key is to put the dressing in the bottom of the box or jar before filling it and to layer it with the meat at the bottom, then the vegetables on top. This Chicken Cheddar Salad is an ideal filling for a sandwich or can be eaten as is too – even picky eaters seem to adore this. All you need are chicken breasts (leftovers from roast are perfect), grated cheddar cheese, celery and mayonnaise. For convenience, this can be prepared up to 24 hours in advance. This Healthy Bulgar Wheat Salad is part of a long post for salmon en-papillote so you get two for the price of one here – dinner and lunch the following day! Make extra salad to use in lunchboxes the following day and add any leftover salmon too. 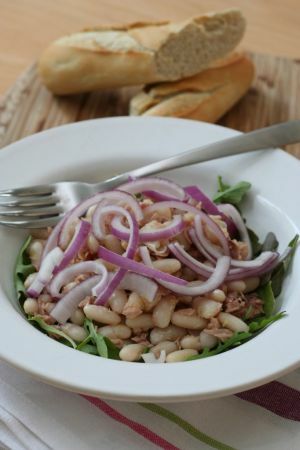 This White Bean and Tuna Salad has a lemon pepper dressing and has been described as a lifesaver recipe using store cupboard ingredients. If your kids aren’t fans red onions, you can just leave them out – the recipe still works well without them. This recipe for Chargrilled Escalope of Chicken, Roast Carrots, Orange and Raisin Salad is a Miriam O’ Callaghan’s family favourite. 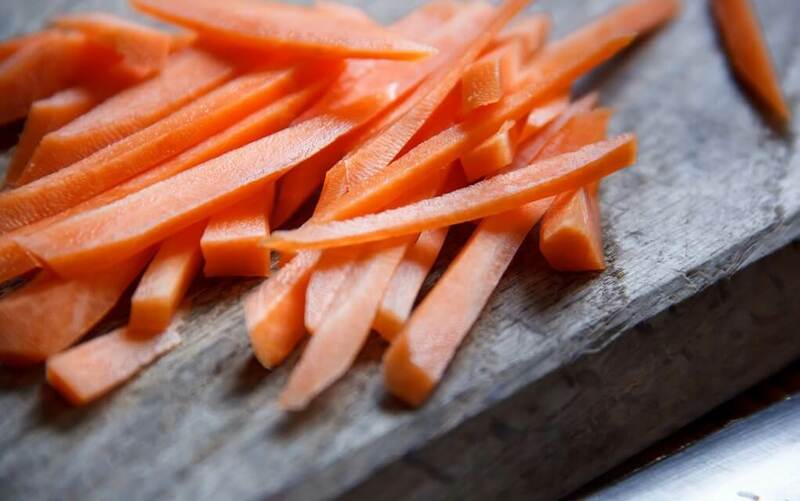 For convenience, you could also just grate raw carrot instead of roasting carrots, and recipe is also perfect with leftover chicken from a roast dinner. Were you turned off beetroot as a child because you only got it in vinegar? 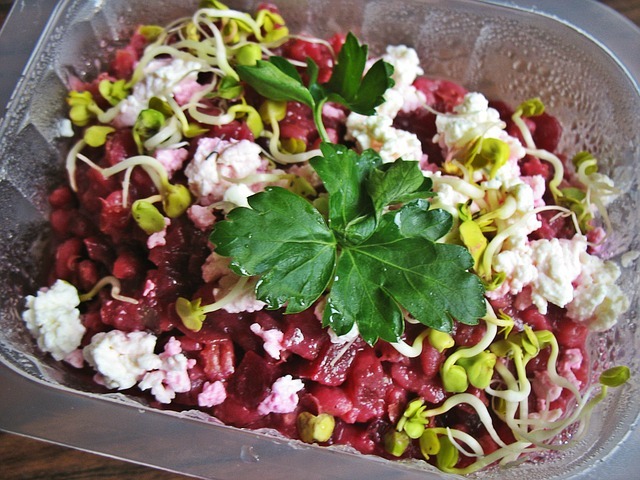 Well this Beetroot and Goats Cheese Salad recipe uses fresh beetroot to ensure your child will grow up loving this great vegetable. Walnuts, goats cheese and beetroot make ideal bedfellows. As you can probably tell, we love goats cheese in our house! 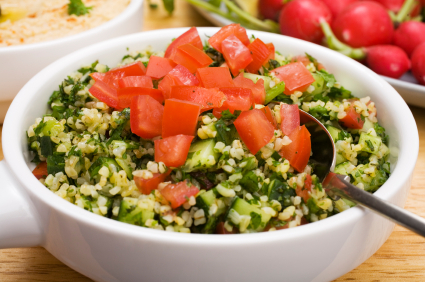 This salad can be eaten warm or cold. It takes a while to prepare, but it’s well worth the effort. Make plenty so it lasts a couple of days. Find it. along with a host of other yummy recipes, on our Delicious Easy Recipes for Kids to Make post. 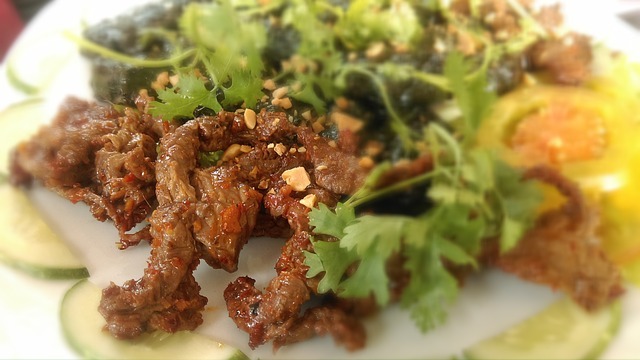 Check out my Thai Beef Salad recipe over on our healthy snacks that teens can prepare post. Cut down on the chillies if your child is not keen! 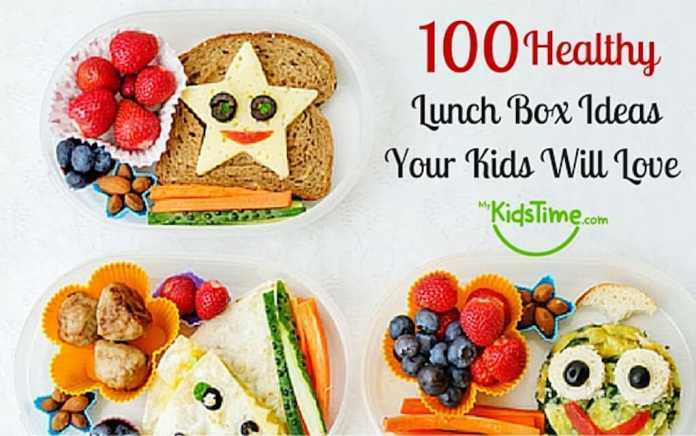 Save time in the mornings and get some handy tips for keeping lunchboxes cool, and filling them with delicious and nutritious food for your children. You can make sandwiches ahead of time and freeze them, removing them the night before use, and defrosting them in the fridge. Some sandwiches actually benefit from being made the night before too, especially tomato with butter or egg mayonnaise! For more frozen ideas, “Frost Bite” is an e-book written by mum Susan, available from Frostbitefood.com that contains 40 fabulous recipes for mealtimes and snacks. 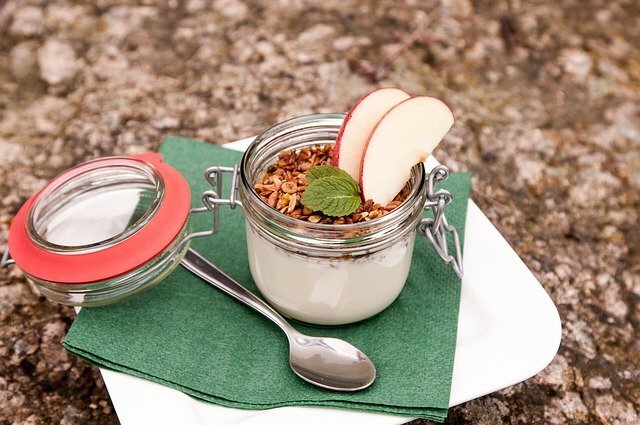 Buy small pots of yoghurt and place them in the freezer. Take them out on the morning and add to your lunchbox. They will be defrosted but still remain chilled, by the time lunch-break comes around. They will also help keep other items cool in your kids lunch box. It can be difficult ensuring your kids lunch box contents stay chilled till lunch time. 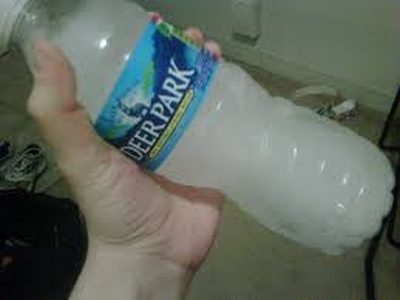 In warmer weather freeze small bottles of water and add them to the lunchbox to ensure that everything stays cool. 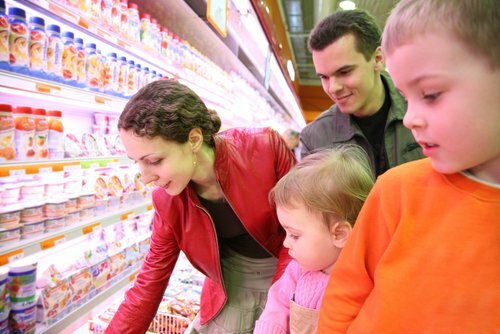 From shopping to filling lunch boxes, get the kids involved in the process. There is a better chance that they will eat everything if they have helped choose it too. Take this one step further and get them making their salads, sandwiches, and even baking their bread rolls or healthy sweet treats. 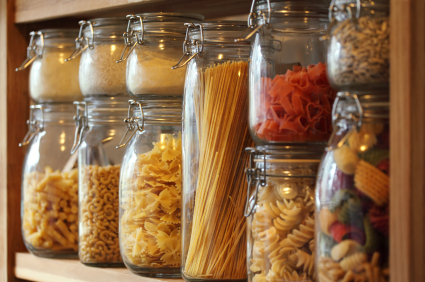 So long as you store them correctly pasta, noodles or rice can be cooked the night before and vegetables can be added to make a complete lunch. A favourite with most kids is a simple pesto pasta salad – I also like to add rocket and baby tomatoes to mine. Make some extras at dinner, and store in fridge overnight for lunch next day. Make a bit extra when cooking the family meal and use them the next day for lunch. Roast salmon, chicken and other meats, are all perfect eaten cold for lunch next day, or leftovers could be re-heated and added to a thermos flask to keep them warm until lunch break. Most salads can be prepared in advance, making getting out the door in the morning a bit quicker. Do the prep and assembly the night before and just store in the airtight containers in the fridge, ready to be popped into lunch boxes conveniently the next morning. 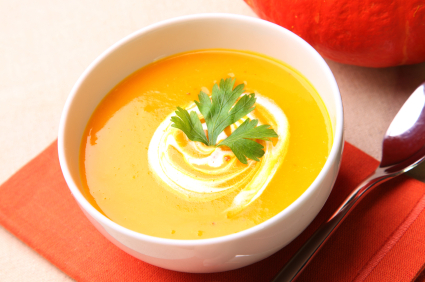 Soup is such a healthy lunch box staple, particularly during colder winter months. Homemade soup can be made the night before, then heated and added to a thermos flask the next morning, to warm up children at lunch break. 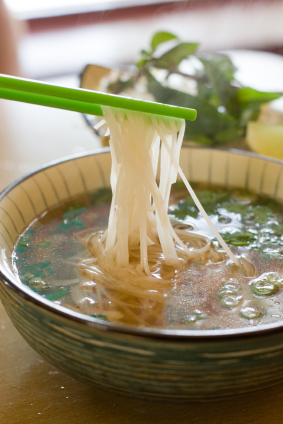 We have lots of delicious soup recipes here that kids will love. 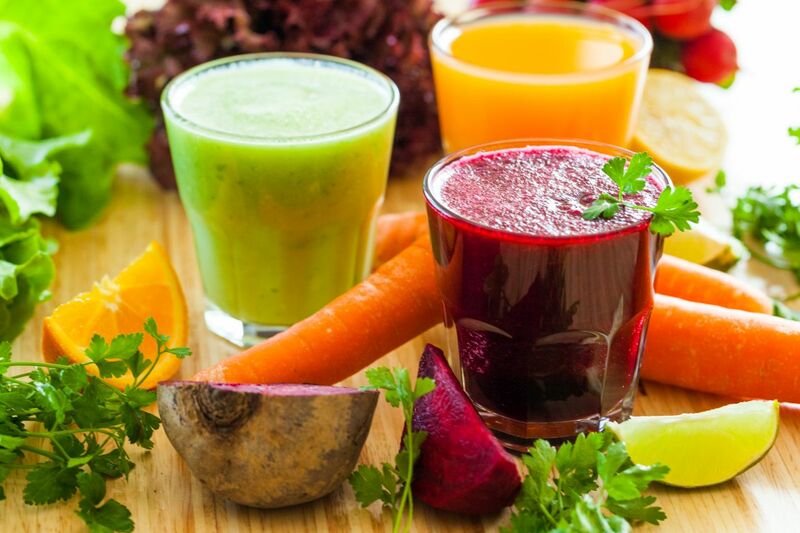 Smoothies are the perfect way to ensure your kids are getting their 5-a-day.You can add vegetables and fruit to a smoothie and have it all ready to go in the lunchbox in the morning. Make sure the container has a tight fitting lid but one that your child can easily open too. 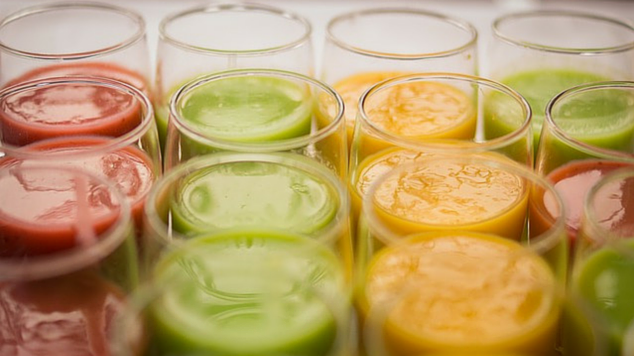 Here are 10 Simple Smoothie Recipes Kids Love. Children love baking. Use some of the recipes in the healthy cakes and treats section below and get the kids to help make these up over the weekend or the night before. Most baked goods can be frozen and defrosted as needed. 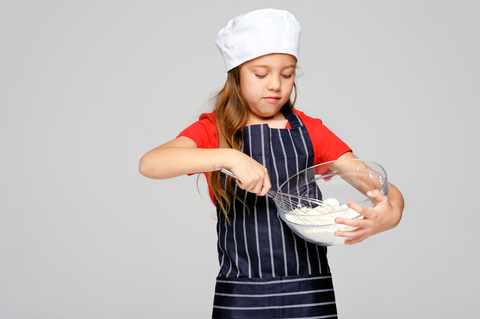 Here are 10 Easy Peasy Baking Recipes for Kids. Gone are the days of crisps and biscuits in lunchboxes. I think my children try to eat their entire lunch at small break (usually 2 hours after breakfast!) but for those of you who have more disciplined eaters, read on. 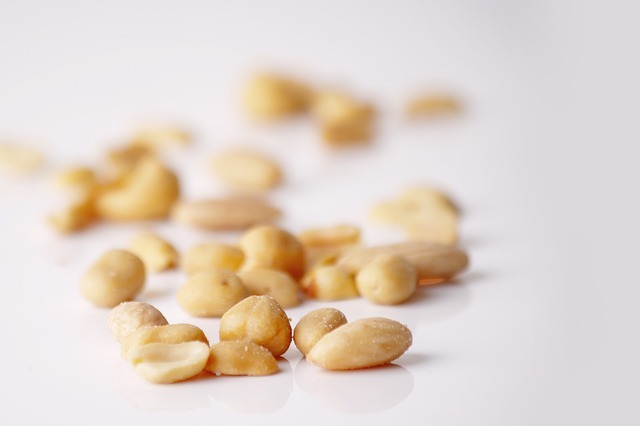 If your school or classroom eating policy allows nuts, a little pot/handful of cashew or walnuts make a great small break snack. If there is a no-nut policy or nut allergy in your child’s classroom, these roasted crispy chickpeas are a good alternative and a winner with most kids. Grapes and Berries are top of the fruit choices from our parents. 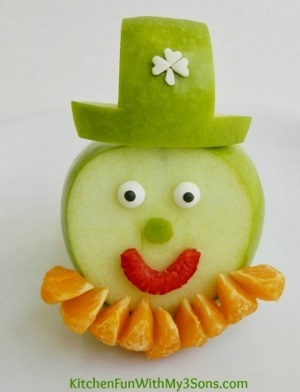 I add a peeled mandarin orange to my daughter’s lunch box and sliced apples work well if you add a squeeze of lemon juice or slice the apple and hold it together with an elastic band. 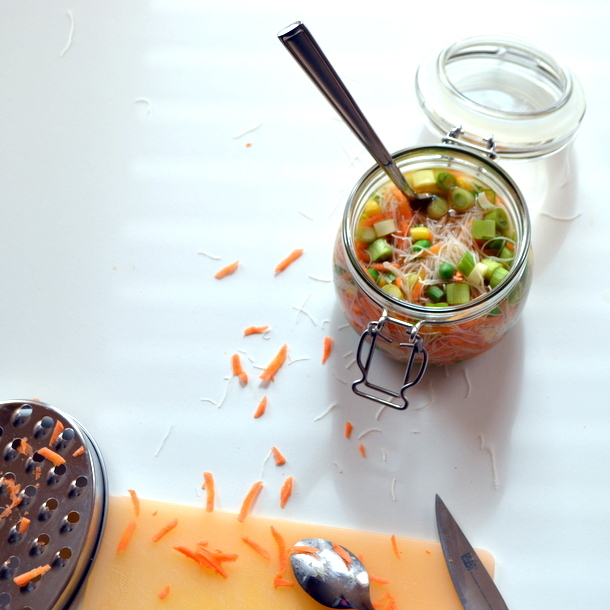 A pot of sliced peppers and carrot sticks go down well with your kids, as do cucumber sticks and sugar snap peas. Adding a healthy dip makes them a bit more interesting. 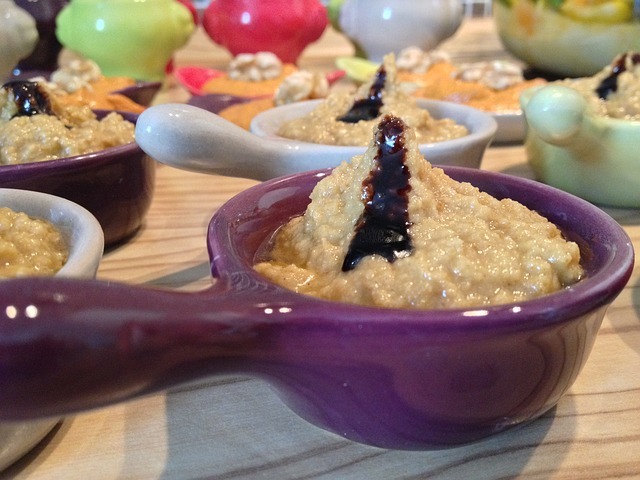 Try make your own hummus recipe, or here’s a broad bean hummus recipe for something different. Homemade flapjacks work in lunchboxes and are a great healthy alternative to shop bought cereal bars. 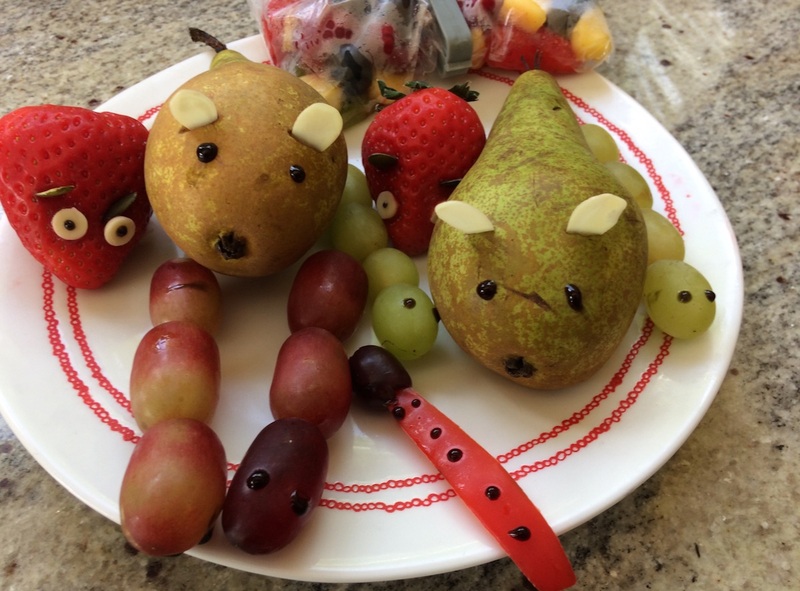 You can be as creative as you like with the ingredients, adding seeds and fruits to suit your child’s tastes. If there is a no-nut policy in your school, ensure that you don’t add any nuts, and these will be perfect for lunch box treats. A small muffin is the perfect lunch box snack – it can be eaten quickly and if you make it yourself, can be full of healthy ingredients. 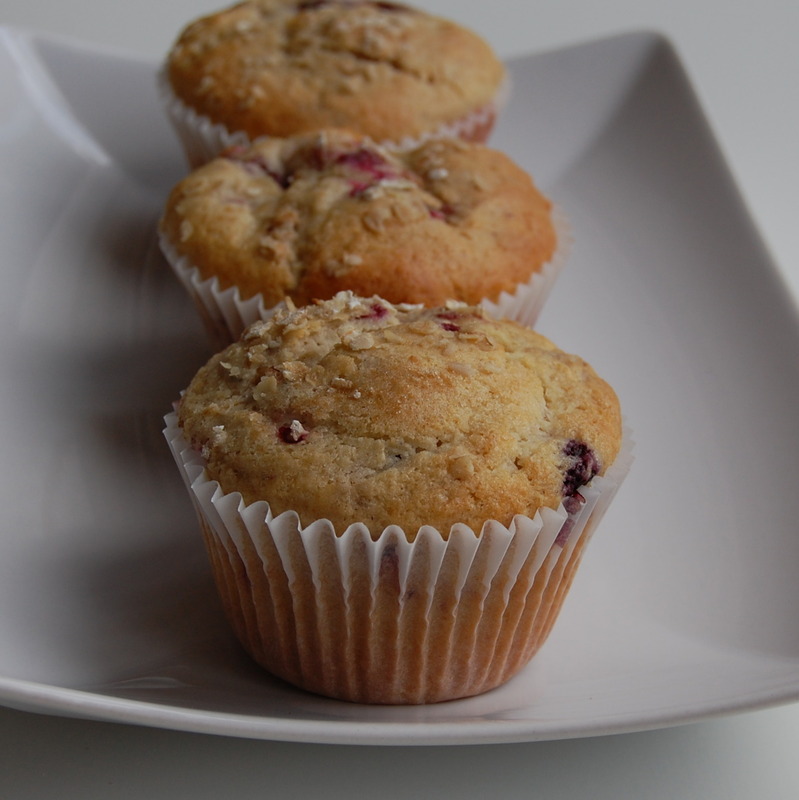 Try these healthy carrot muffins, breakfast berry muffins or savoury ham and cheese muffins. These will keep well in an airtight containers for days. Many of you add some mini rice cakes to your children’s lunch boxes as they are a winner with all kids.You could use butter or some of our other suggested spreads to sandwich them together. 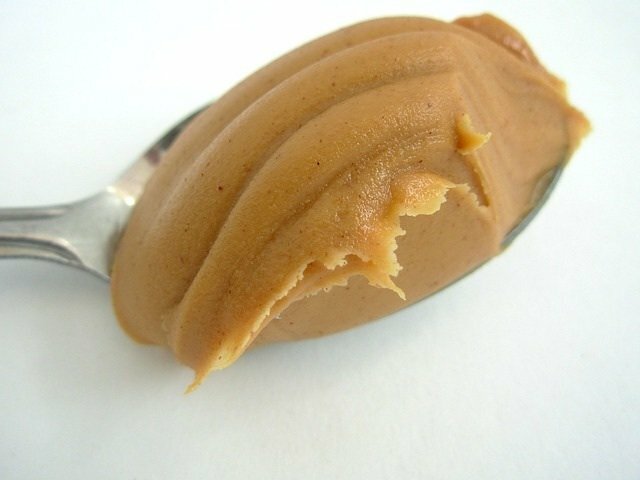 If your school is not a nut-free zone, peanut or any other nut butter makes a yummy spread on rice cakes. 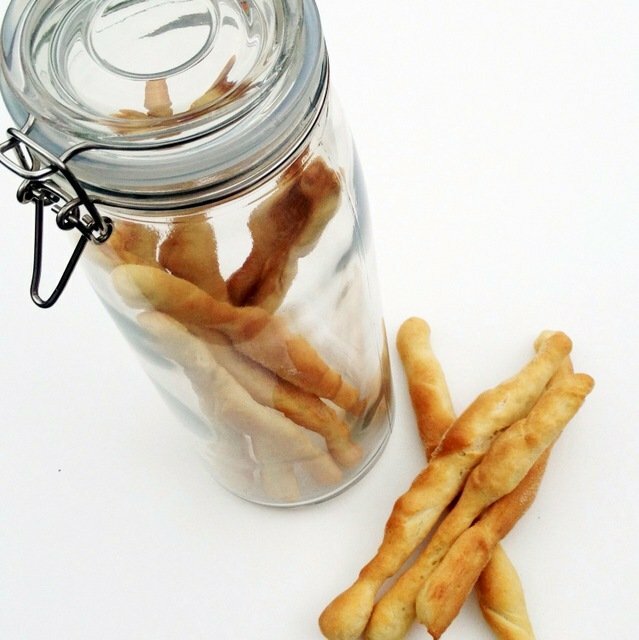 Bread sticks are a winner with kids, and quick and easy to eat. Follow our simple bread stick recipe to make your own sticks and include a homemade dip for a quick and tasty snack. A small bag of crackers makes a handy small break snack. Do check the ingredients as some contain a lot of salt. 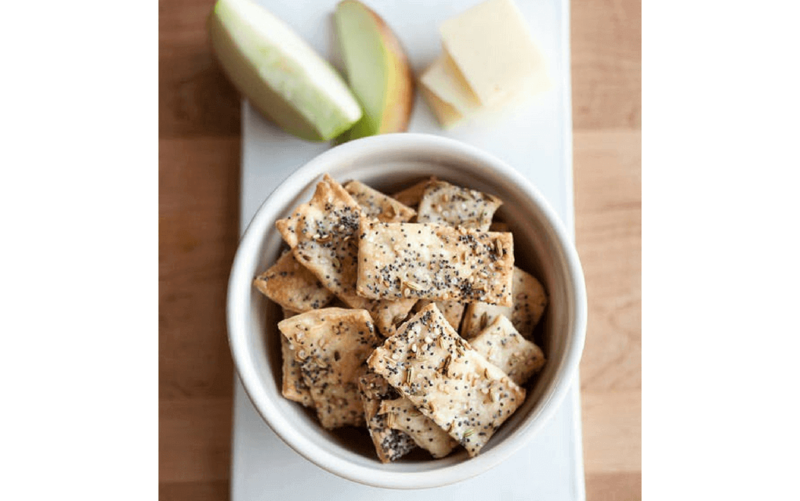 Why not try making your own crackers with this recipe from thekitchn.com – they are surprisingly easy. 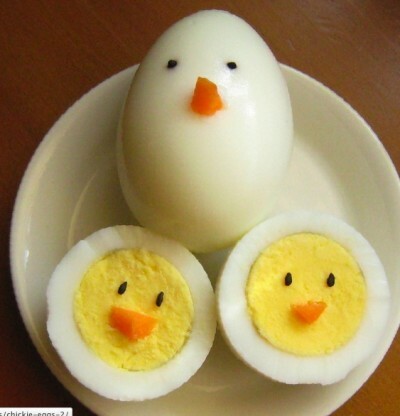 One Mum suggested adding a tattoo to the outside of a boiled egg shell as a fun way of getting kids to eat them. But for younger kids, shelling the egg and adding it to a small pot is probably a better way of serving them, not as much fun though. 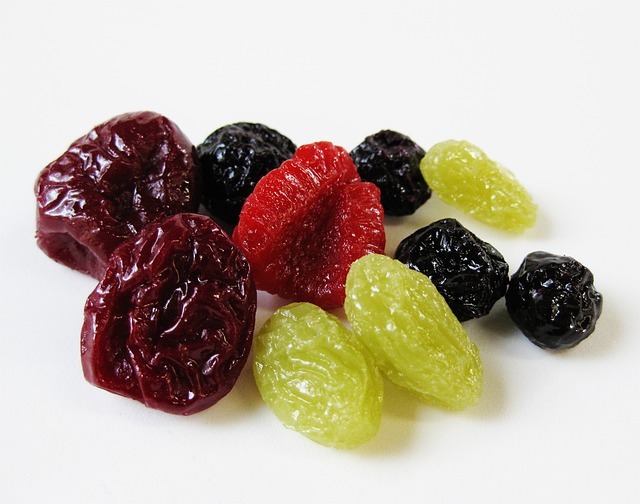 Dried fruit, though higher in sugar content, is also a good small break snack. Raisins, cranberries, apricots, mango, sunflower and pumpkin seeds are popular with kids, and a little pot of one or all makes a tasty small break snack. Dips are a great way of adding variety and vegetables to a lunch box. Give them bread sticks or chopped vegetables to dip, or use as an alternative sauce for sandwiches or salads. Healthy and delicious follow our classic guacamole recipe for clean lunch boxes every time. 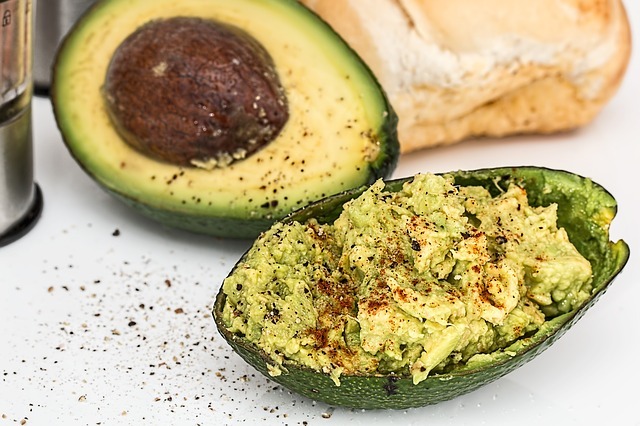 Guacamole is ideal as a dip for bread sticks, pitta or crackers and is full of healthy fats to keep tummies full until home time. 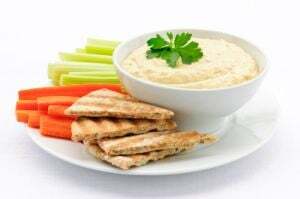 Quick and Easy Hummus is ready in minutes and kids love dipping carrots, celery or bread sticks in it at break time. 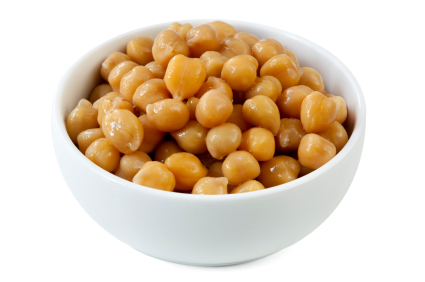 Made with chick peas and tahini, hummus is a good alternative to butter on sandwiches too. Just a word of warning tahini contains sesame seeds so check if any child in the school has sesame seed allergies before adding to lunchboxes. 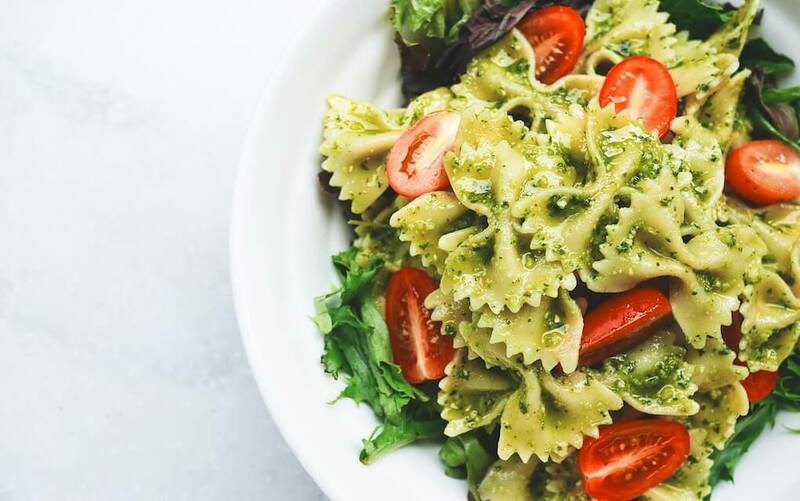 We love this Kale Pesto recipe from Wolesome Ireland, It is tried and tested on kids and is also vegan. Add to pasta for a tasty lunch box meal or have with rice cakes, bread sticks or pitta, as it is perfect dipping consistency. Some children like a bit of heat and if your child does, this is a great recipe for Killer Chilli BBQ Sauce. It creates the perfect dipping sauce or can be used to accompany cheese, vegetables or meat in a sandwich. It can be difficult to get your kids to eat oily fish. 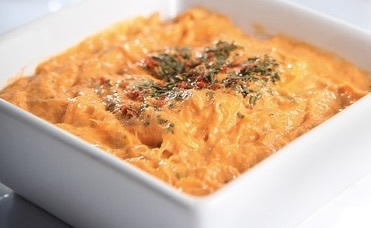 This quick and tasty Fish Dip uses smoked mackerel fillets and can be served with toast fingers, pitta slices, carrots, celery or bread sticks and will be loved by adults as much as children. The recipe is number 8 on our Healthy Snacks Ideas for Kids post. 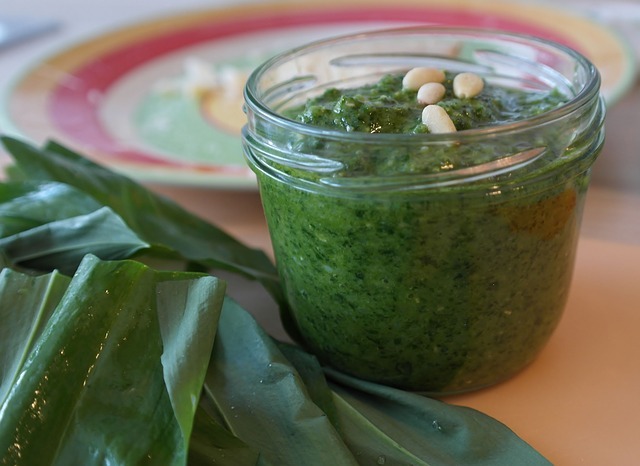 Follow our Quick and Easy Pesto recipe to make tasty pesto to liven up cooked pasta or add as a sauce to your sandwich or salad. 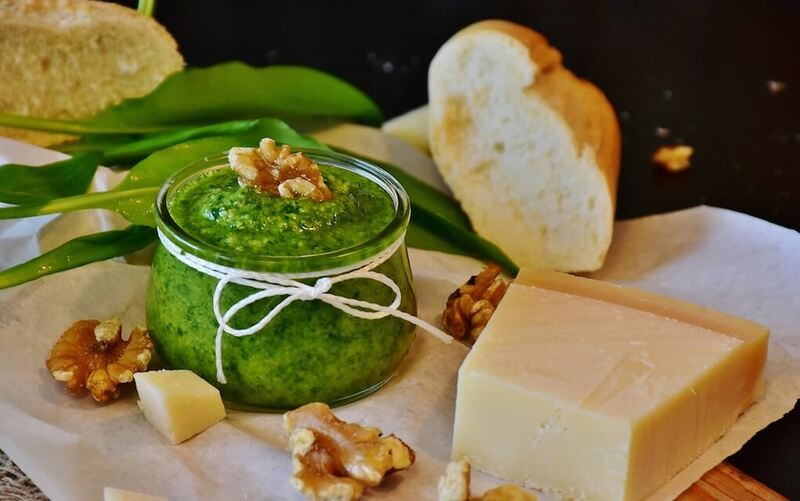 Once made, this Pesto will keep in the fridge for up to a week, although you may have trouble staying away from it yourself! As an alternative to regular hummus why not try our Broad Bean Hummus recipe. 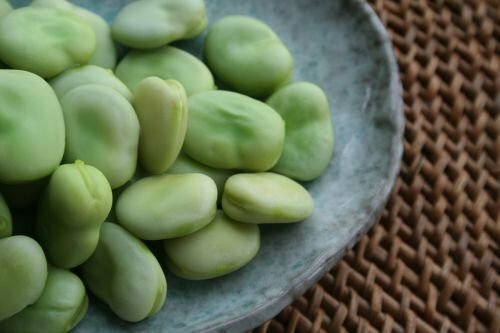 Broad Beans, also know as Fava Beans, are rich in fiber so great to aid digestion. Simply blend together a tin of cannellini beans, a garlic clove, chopped mint, chopped chives, chopped thyme with some olive oil for a dip that is ready in minutes and tastes delicious. 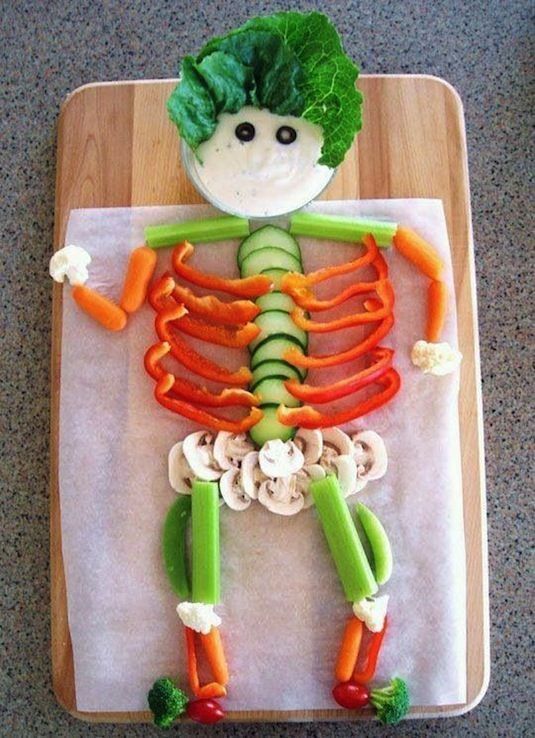 Add veggie sticks or bread for dipping. Originally designed to go with Cajun Potato Wedges this Sour Cream and Chive Dip from Kerrygold is cool and refreshing with veggie sticks or pitta. You can get food flasks that will keep food warm for hours, which is ideal for days when your children have after-school activities or study. The secret is to heat the items more than normal, to ensure they stay hot until lunchtime. Soup is so easy to make and you can pack it full of healthy vegetables. It also freezes well so any leftover soup can be stored for using another day. My Dad makes the best soup ever and I have added his recipe on our Proven Family Dinners Your Picky Eater Will Love post. 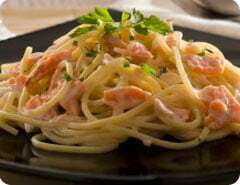 Get some omega 3 in your child’s diet with this really creamy and delicious Salmon and Pasta Dish. It is great for a week day tea but equally good for a filling lunchbox treat. Is is number 3 on our Simple Pasta Recipes for Kids to Prepare in No Time. 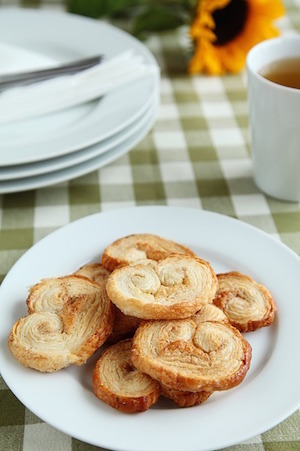 This Cheesy Spiral Recipe from Kraft uses shop bought pastry but feel free to make your own! This recipe uses ham and cheese, but you could add tomato paste, pesto or other ingredients. 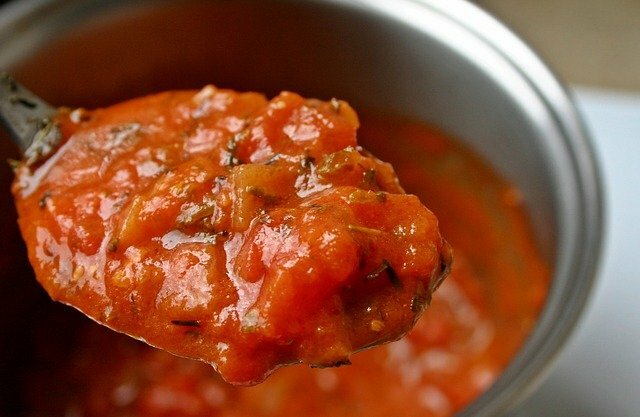 Equally great hot or cold and very easy to prepare. These tasty treats Broad Bean Falafel are great with some pitta and guacamole and help to get the kids to eat vegetables without them even realising! Find the recipe over on our Healthy Snack Ideas post. 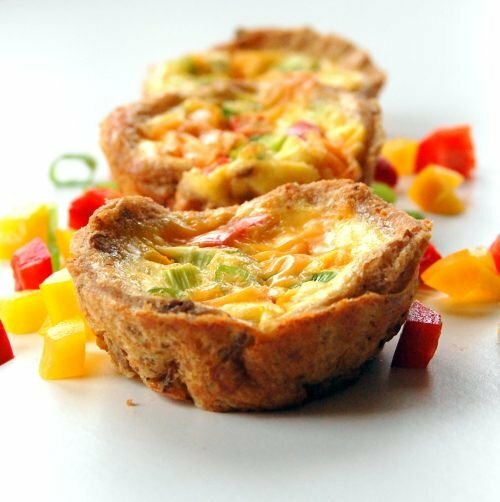 A bit more stable than the Frittata so good for younger children we love this Mini Quiche recipe from Caitriona over at Wholesome Ireland. These mini quiche freeze well so you could make a larger batch and have them as a stand by lunch box meal. Well maybe not posh, but definitely homemade. This is a great lunchbox recipe for Healthy Homemade Pot Noddles. This recipe is great for days when the children have sports or study after school as it will fill them up for hours. 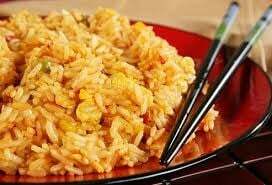 This Chicken Fried Rice is equally good for a midweek supper but can be prepared the night before to take to school too. If you are veggie, just leave out the chicken. Add more vegetables too if you think you can get away with it! This Chicken Noodle Soup uses frozen vegetables and a roast chicken carcass, along with any leftover chicken. It will be sure to keep hunger pangs away. Do cut the noodles if using for school lunch boxes, as will just be less messy to eat/drink. 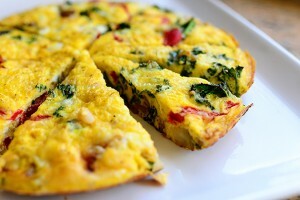 Frittata is a great way to get lots of vegetables into my kids. 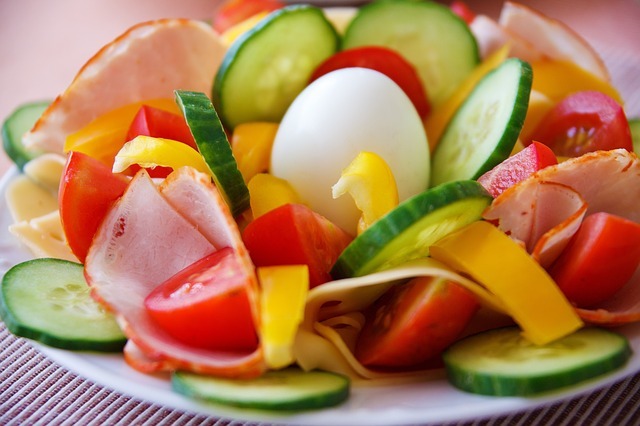 I chop up tomatoes, ham and onions really finely (which they like), with some other vegetables like courgette and mushrooms that they don’t like that much, and toss them all together in the egg. 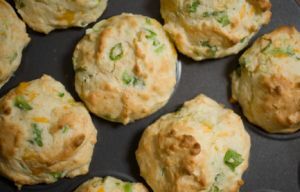 We like this recipe from The Pioneer Woman. 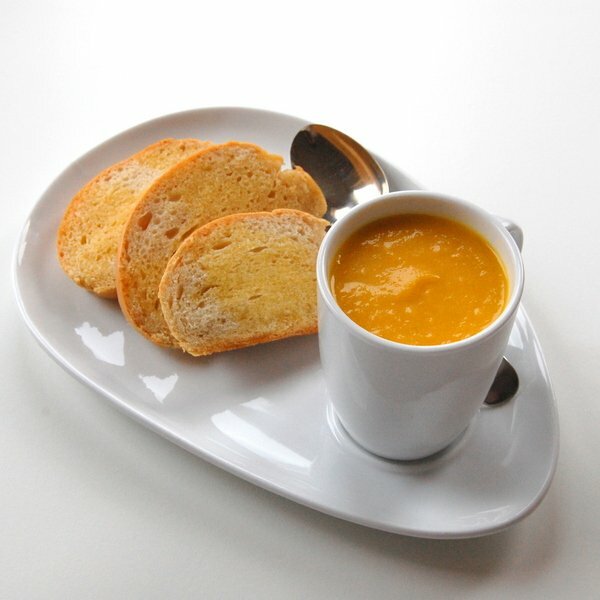 This Pumpkin Soup is great for using up any leftover pumpkin pulp or you can substitute with other squash if you prefer. 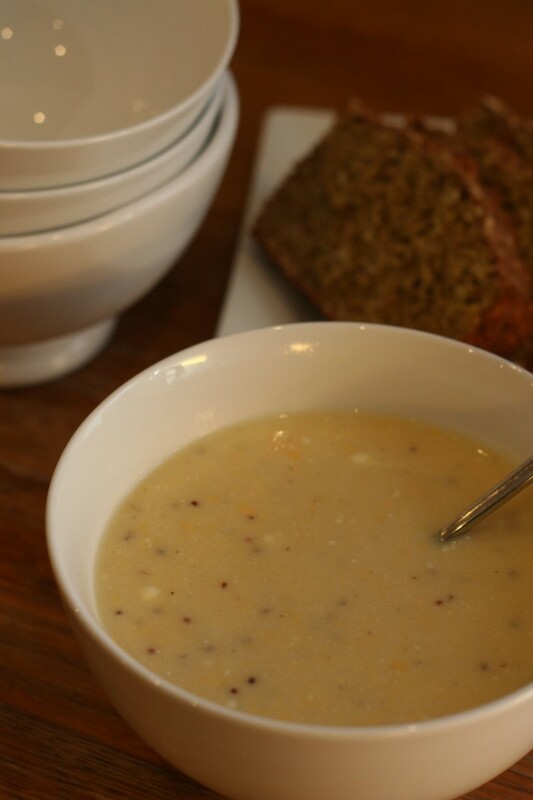 It is thick and delicious, ideal for a cold winters day. It can be difficult to get children to eat vegetables and fruit and it is often the thing that comes home uneaten in lunchboxes. See if you have better luck with the ideas below. When all you want is sugar a handful of frozen grapes will satisfy the craving. 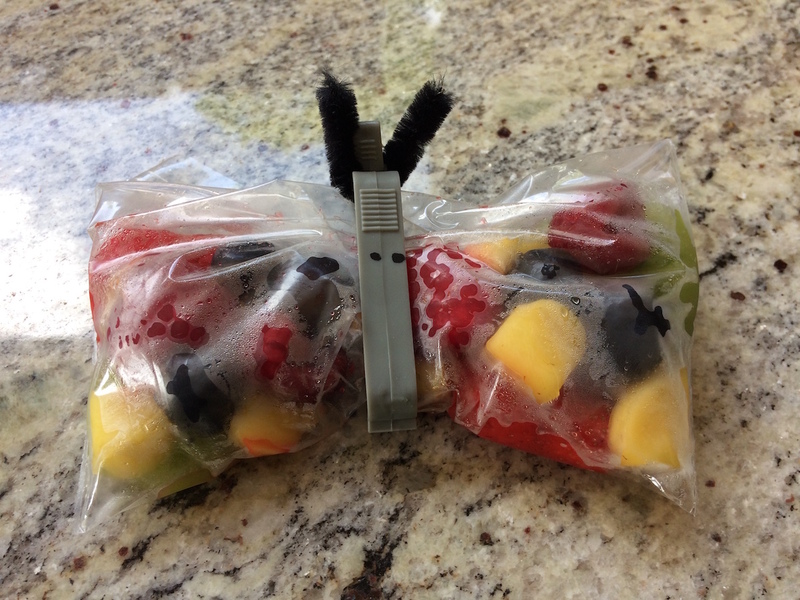 Add an extra bunch to the trolley next time you go shopping and freeze them to have a healthy snack ready to go in luchboxes as a sweet treat. Watermelon also freezes well. Looking for a healthy smoothie recipe for the kids? Whizz up these Peach and Blueberry Smoothies in no time for a good lunchbox addition. If your kids find that a little difficult to drink, then you could make it a thicker consistency and add more yogurt. 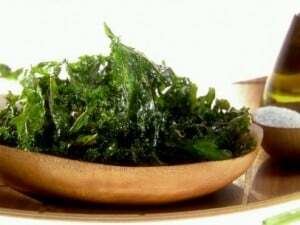 Why not dehydrate some kale and make some Kale Chips for your kids lunchboxes! 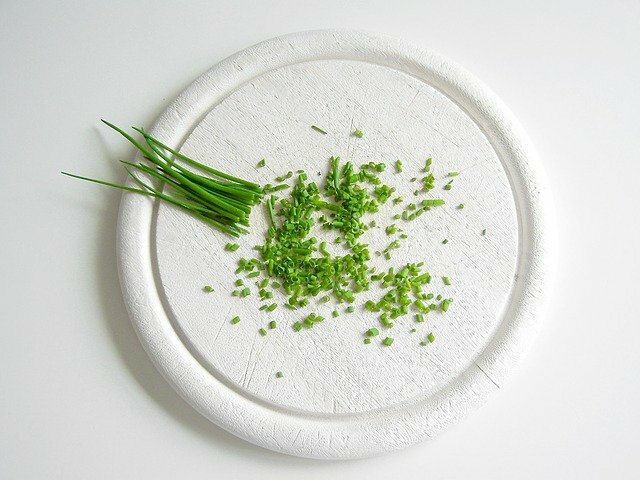 It’s such a clever way to get your kids crunching on their greens! 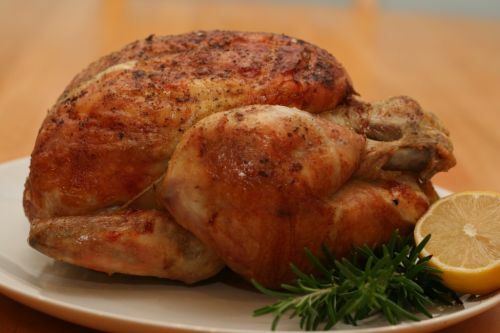 Simply toss in some olive oil and salt and bake for 20 mins in a hot oven using this recipe from Food Network. 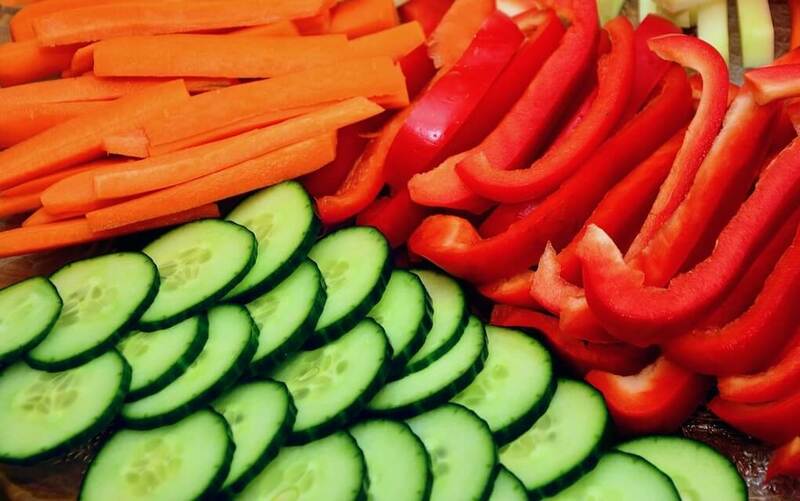 There are several vegetables that can be eaten raw and some provide more nutrition than when cooked. 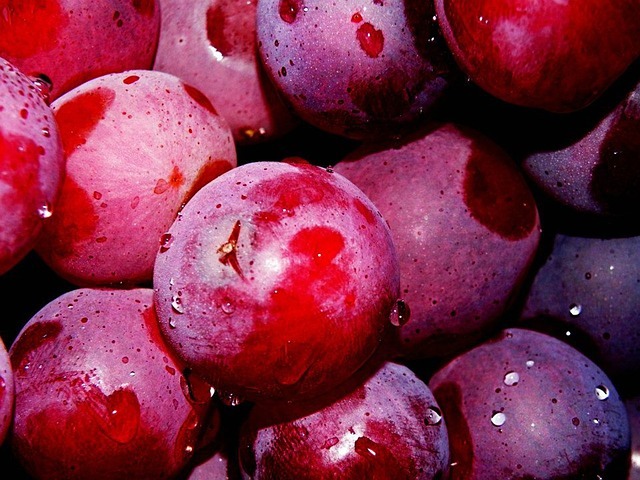 They are full of vitamins, anti-oxidants plus soluble as well as insoluble dietary fibre. 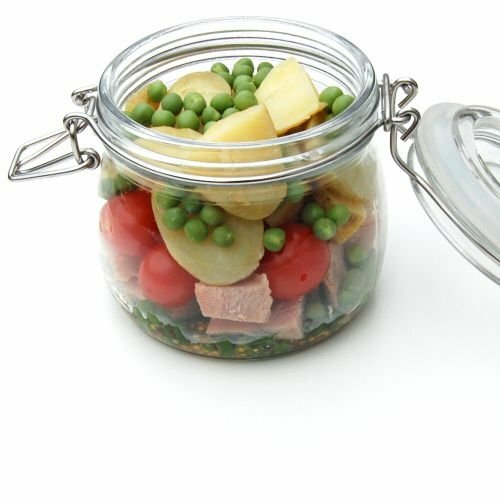 Ones that work well in lunchboxes include; carrots, cucumbers, celery, cauliflower, tomatoes (yes I know they are a fruit), sugarsnap peas and baby sweetcorn. Add a dip to liven them up. Strawberries, blackberries, raspberries and blueberries are perfect for children’s lunchboxes. As well as being colourful additions to the lunch box, they are low in calories and full of vitamins and anti-oxidants, so they’re super healthy too. And most kids seem to love them. Available in all supermarkets and health food shops, dried fruit are high in iron, calcium, zinc, selenium and manganese. 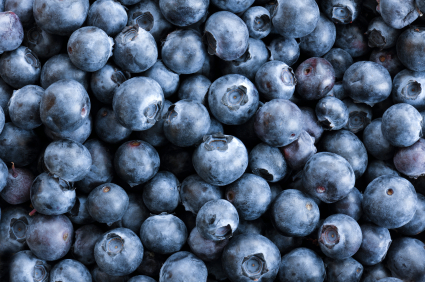 Though higher in sugar content than fresh fruit, they more portable, and are great additions to lunch boxes in the winter months when fresh berries may not be so readily available. Less messy to eat too so perfect for younger kids. Raisins are dried grapes or currants and they are a rich and concentrated source of energy, vitamins, electrolytes and minerals. 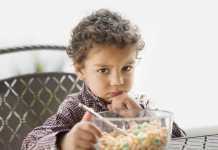 Added bonus is they don’t require much prep and are simple for your child to eat on their own. 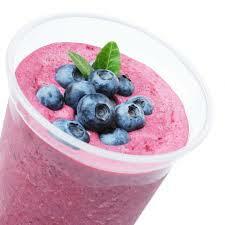 Why not try adding a handful of kale or spinach to any fruit smoothie. These blend well and are well balanced. 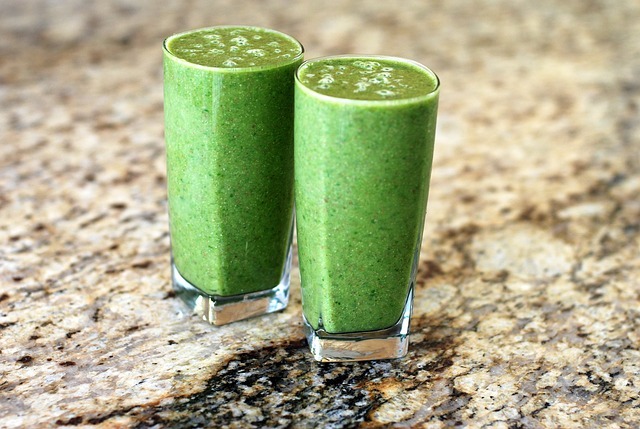 Try the classic Green Monster by blending 1 cup milk, 1 frozen banana, 2 handfuls spinach, and 1 tablespoon almond butter. Easy and tasty for a lunchbox. Once a week why not theme your child’s lunchbox? You could use a colour so everything in there is green or red or rainbow coloured. You will need to use fruit and vegetables to get the desired effect and hopefully the kids will enjoy the change so won’t think too much about the contents! Check out – 10 Simple Smoothie Recipes for Kids that They Will Actually Like! If you or the kids love baking you can create healthy treats to fill lunchboxes, save money and cut down on high sugar shop-bought alternatives. 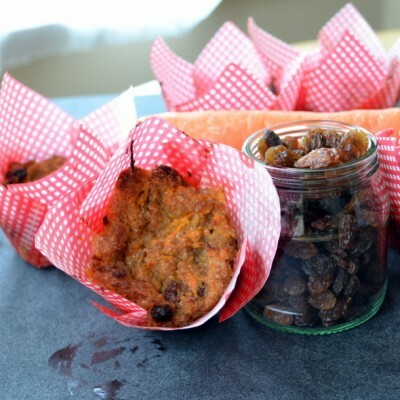 These healthy carrot muffins are packed full of carrots and sultanas and use honey instead of sugar. More dense than usual, they make a filling addition to any lunchbox. 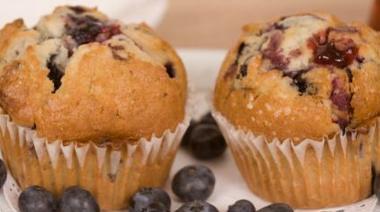 As well as being a yummy sweet treat, your kids are also getting fruit and veg portions from these muffins – a winner! 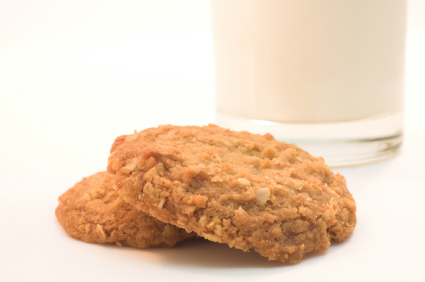 Most kids love flapjacks and biscuits. The addition of mixed dried fruits and various seeds along with the oats in this Flapjacks recipe from Wholesome Ireland, means that they are essentially a power bar, great for hungry kids. Happy kids, happy parents. These Blueberry Muffins are very easy to make, and would be perfect for breakfast, or lunchboxes. The recipe makes 12, but they also freeze well, so why not double up on the recipe when baking and store in the freezer once cooled, for future use. 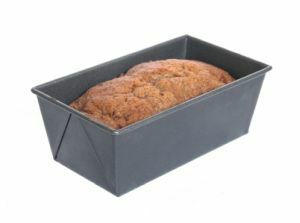 Bake this Banana Cake Bread in a rectangular tin and you can cut it easily into smaller portions for lunchboxes. This cake keeps well for days (if you can keep it!) as it’s also great and is always a hit with afternoon tea. You could bake double and freeze the second loaf for use in the future. Great at any time of the year but are a good way to use up Pumpkin pulp from Halloween Lanterns. 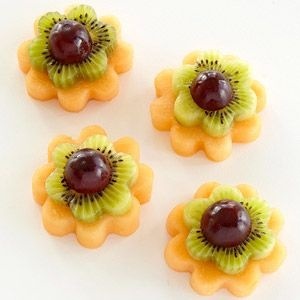 We often think of savoury dishes for pumpkin, but it’s sweetness lends itself perfectly to sweeter treats too! 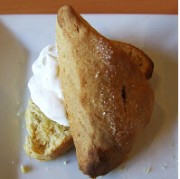 These delicious pumpkin scones can be added to your child’s lunchbox as an occasional treat. 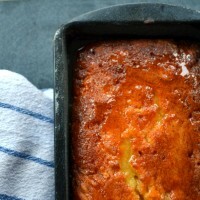 This Lemon Drizzle Cake has a secret ingredient, potato! You won’t believe it when you try this Sweet Potato Lemon Drizzle Cake. The potatoes make it wonderfully moist and light. May sound unusual but it’s well worth a try! 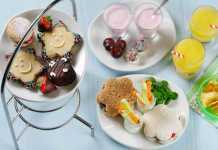 And will keep hunger at bay for hours, so good for a day when your child may have after-school classes. These Savoury Ham and Cheese Muffins have some whole wheat flour to give them a little boost of wholegrain goodness. You can adjust the seasonings to your children’s tastes, so feel free to leave out the paprika, black pepper, Worcestershire sauce, mustard or scallions, or use a mild cheddar instead of a mature one. 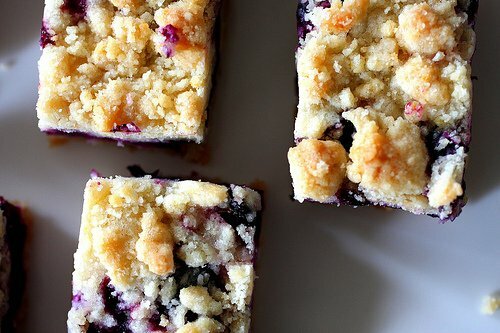 These Blueberry Crumb Bars have been adapted from SmittenKitchen.com, and would also work equally as well with other fruits. Makes approx. 36 small rectangles. Using a food processor to make the dough makes this even easier to pull together. 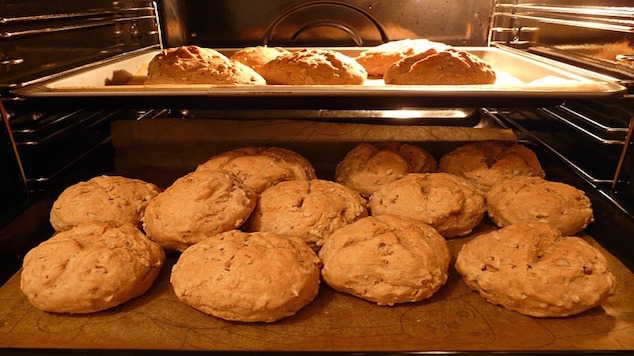 This delicious Scone recipe from Griffins Garden Centre Restaurant in Co Cork won a Goodall’s of Ireland award in 2015 for the best Scone in Ireland. 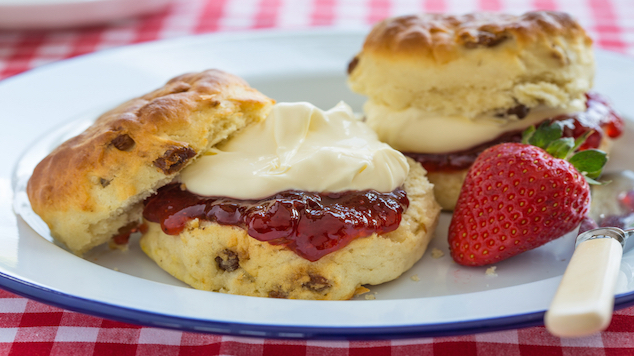 You can’t beat your own homemade scones – perfect as an occasional treat in lunch boxes. 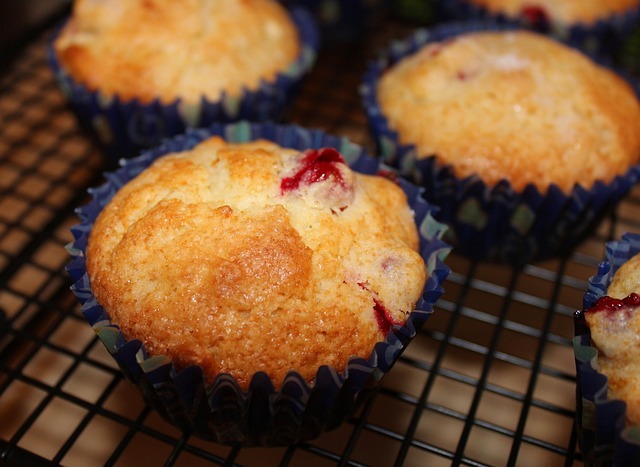 These Mixed Berry Breakfast Muffins are great in the lunch box and keep very well in a sealed dry tin. They also freeze well – once they have cooled place in a freezer tub or bag. Remove them from the freezer the night before you put them in a lunchbox. I was going to call this section Leftovers but met a Mum today who said she prefers to think of them as extras! During a busy week she will often cook extra dinner that her children will happily take to school. 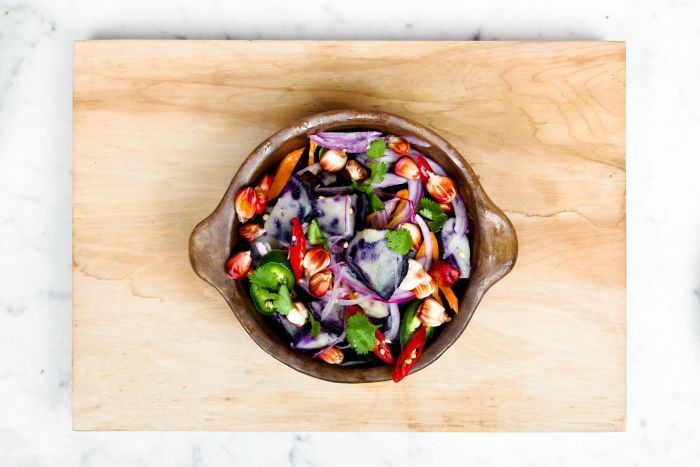 Below are some of our favourite dinner recipes that make great lunchbox treats the next day. Make sure to cool food down before storing it in the fridge or freezer. Some will need to be heated up before adding to the lunchbox but many are just as tasty cold. This Spinach & Feta Pie recipe from Kerrygold is a great vegetarian option that should suit all of the family. Traditionally known as spanakopita, which are normally bite-sized pastries, but this pie is much less fiddly and easier to make. It can be made up to a day in advance and kept covered in the fridge with clingfilm until ready to cook. Great hot for dinner and cold for lunchboxes. What child does not like cheese and pasta? 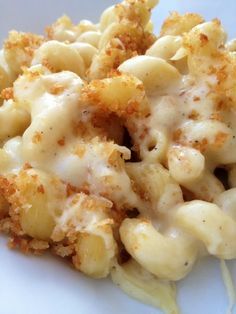 This Easy Peasy Macaroni Cheese(y) recipe is a firm favourite in our house and we always make extra for the next day. It can be eaten hot or cold, and is a great lunch time filler for little tummies. Perfect if child staying later for after-school activities. 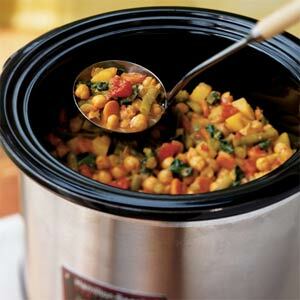 Check out our 15 Amazing Slow Cooker Recipes the Whole Family Will Love. At least 10 of them can be used as lunchbox staples. And best of all they can cook while you are out at work or getting on with your life. 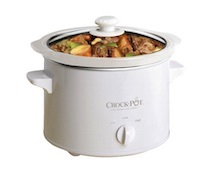 What an ingenious invention – dinner and lunch next day, sorted! Discover my Homemade Chicken / Fish Goujons recipe, number 2 on our Family Dinners Even Picky Eaters will Love post. After cooking, let them cool down and store them to pop into lunchboxes the next day. Add in one of our dips and you have a great lunch treat. These are great cold, but you could heat up and add to a food flask for a hot lunch. 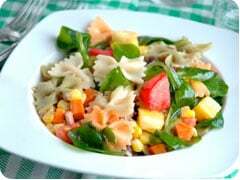 This recipe is a lovely fresh twist on a pasta salad from littlesteps, full of colour and fresh ingredients. You can serve it straight away, or cool and use in the lunchboxes as a change from sandwiches. Adding lemon juice gives it a nice lift and you can add in lots of different veggies which is great for sneaking more veg in too. 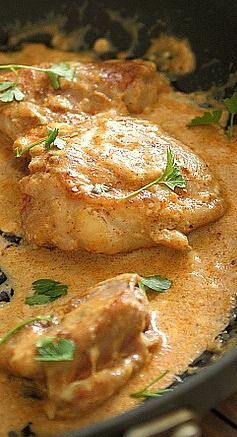 This is a basic coronation chicken recipe which I use for my leftover roast chicken, particularly if I’ve made a roast on a Sunday. You can tweak the fillings to the tastes that your children have and I prefer it on crackers but it’s perfect in wraps, sandwiches, pitta breads and on its own. We have more ideas on 25 Super Scrummy Easy Recipes. Next time you cook up a lamb roast keep some of the meat to create this Leftover Lamb Pasta it can be a family meal in itself or would be a welcome addition to lunchboxes. This recipe has been taken from our 50 Easy Family Dinners post, which is packed full of great family dinner ideas. Do something different with a pack of tortellini. 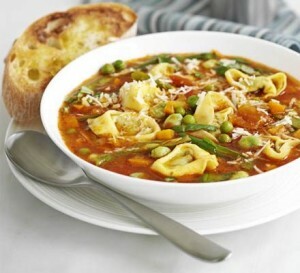 This hearty pasta meal from bbcgoodfood.com can be a wholesome dinner, and uses frozen peas & beans along with a packet of tortellini as the basis. It is great re-heated for school lunches the next day. 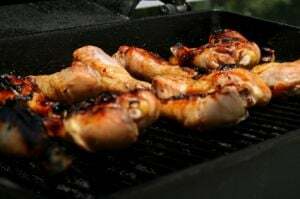 These Chicken Legs with Lime and Ginger are delicious – either hot as part of a barbecue or cold to take in the lunchbox or for a quick supper. 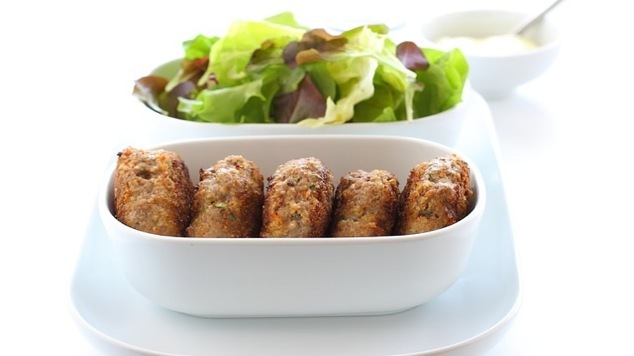 You could also try these homemade sausages as a healthy alternative to commercial sausages. How about a traditional Irish dinner recipe? 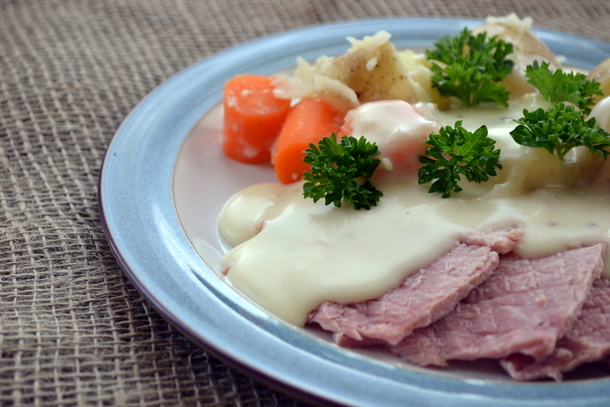 Here’s an Irish Ham and Potatoes Recipe for dinner, which my mother, grandmother and ancestors cooked. Save slices of the ham for the next day to add to pasta, sandwiches or eaten on it’s own, much better for you than shop bought sliced ham. 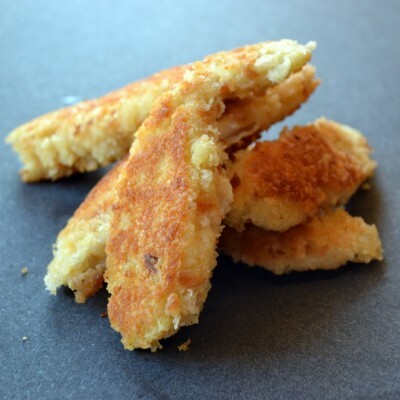 I usually make these chicken and sweetcorn potato cakes for my children when they get in from school, it makes a change from sandwiches and keeps them going until dinner-time. But they work equally well as a dinner dish and popped into lunchboxes the next day. I often chop up the leftover roast potatoes from the Sunday roast instead of grating raw potatoes and this works just as well. 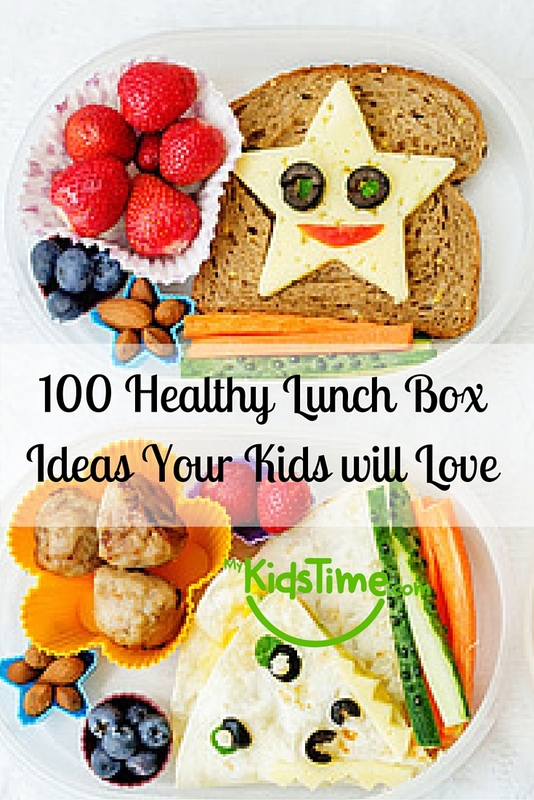 What else would you add to our lunch box ideas list? Leave a comment below and let us know – we’d love to hear from you!